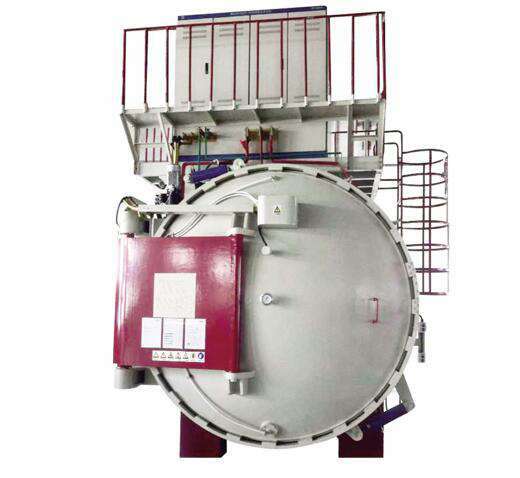 Characteristics of high temperature low vacuum brazing furnace equipment. Suitable for vacuum brazing copper alloy, stainless steel. High temperature alloy heat resistant alloys are also used in zirconium, niobium, molybdenum, etc. High temperature vacuum brazing furnace for plate heat exchanger and oil cooler. In the vacuum brazing process, the treated parts are in a vacuum environment or under atmospheric protection. This kind of vacuum brazing has the advantages of no oxidation, small deformation, no porosity, no slag, surface light, and no pollution technology. The vacuum brazing can be used for multi-seam welding and multi-site brazing. The control system is controlled by PLC, the intelligent temperature controller controls the furnace temperature, the control is accurate, the degree of automation is high. The furnace is equipped with manual/automatic control system with alarm function and convenient operation. PS:the furnace technical data could follow the user’s requirement.